I’m probably – almost definitely – well maybe – hatching a plan! But don’t ask me anything because I won’t say another word. The Pitch: Tilly dreams of having a baby and her dream comes true when a hatching egg presents her with a fluffy bundle of … crocodile! Everything is bliss until Charlie starts to grow. AND grow. When her friends start disappearing, Tilly worries that she’s next on the menu. But when Charlie invites her down to his cave, she’s in for a big surprise … party! Please send YOUR pitches for the coming weeks! For rules and where to submit, click on this link Would You Read It or on the Would You Read It tab in the bar above. There are openings in April so you’ve got a little time to polish up your pitches and send yours for your chance to be read by editor Erin Molta! YES, I'd read it! I'd cut/condense the pitch, but absolutely. Sounds like it has a great story and humor to boot. Great job, Steve! P.S. 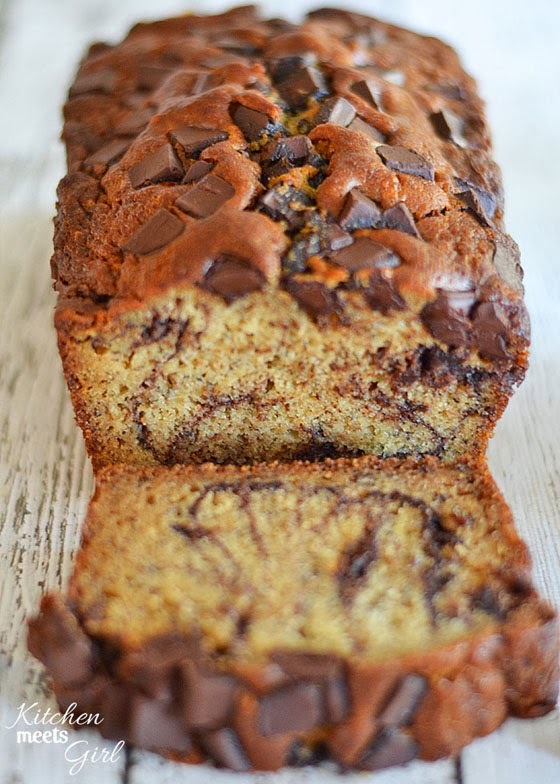 What a fantabulous banana bread, Susanna! This sounds cute. I would definitely read it, but I was also thrown at the start because I thought Tilly was a little girl. Yikes! She dreams of WHAAAAT? Yeah. That happened. So you'll need to put out there what kind of a critter she is right away. Good luck with it. By the time I show up for these “Would You Read Its,” every possible thing I would have said has already been said. So, Steve, do me a favor and do what they say, OK? And yes, I would read it. A Friday surprise, eh? I think I smell something besides banana bread. Hmm…. Are you cooking up a St. Patrick's Day contest? Hi, I guess, like Steve, I've shown up a bit late for the party. My thoughts have already been voiced by the others: lose the party and leave some suspense, explain who or what Tilly is, and just say her friends are disappearing, don't assume they've been eaten. The way it is now, she doesn't seem so concerned with her friends' fate, just her own. And yes, I would read it, especially with a cup of tea and a hunk of that banana bread. I believe one is supposed to eat corned beef and cabbage for St. Patrick's Day, Mike. I have heard anything about cooking up contests! Thanks so much for sharing your impressions with Steve, Genevieve! It's so helpful to hear how something that's obvious to you might be hitting other people! Thanks so much for your very helpful pitch rewording, Julie! Usually we get a few of those but so far today yours is the only one – and very helpful! You're wrong, Dr. Weibel! It's not St. Patrick's Day! It can't be! I've already got WYRIs scheduled through that week! Thanks for that Teresa, someone mentioned below as well so I checked it out. It's a very different story, just has the same name. Sigh, I'll probably have to change to Silly Milly or something similar. Should have checked first! Your lovely folk at RYS liked it a lot, and gave me a wonderful suggestion which has made it a great deal better. Can't tell you how much I value RYS. Thanks for your help and good wishes! Hatching plans and hatching crocodiles – Oh my! I'm in, but am confused about the main character. Is it Tilly or is it Charlie? Love the first surprise that it's a crocodile instead of a baby. Since you use the term “baby,” I did a double take on why Charlie is living in a cave. I was thinking mom's and babies live together. The grows and grows makes me think maybe the story is about a child growing up, but “when her friends” line takes my attention to a mystery. And, then I wonder if Tilly worries she'll be next on the menu … does she have proof he's the reason her friends are disappearing? So why would she go to the cave (Sorry, but I question that from American horror films too. I'm terrible). I wonder why the having a baby part is important if the heart of the story is about Silly Tilly dealing with this growing, unwieldy crocodile Charlie, who eats her friends. Good luck with this and thanks for sharing. I would definitely read this, Steve, now that I have the recipe for that chocolate banana bread. I immediately thought Tilly was a chicken, but then again, I'm partial to chickens, especially ones named Reggie. Your pitch brought to mind the fox and the hen fable. Or was it a goose? But now I'm wondering if Charlie is a party animal and not a friend eater after all?! Thank you for all your helpful thoughts for Steve, Stacy – I'm sure they'll get him thinking! Thanks so much for your comments for Steve, Debbie! How is Reggie? 🙂 And I hop you enjoy the banana bread! I am resisting the banana bread but it won't be long now. Probably Sunday. I'll post a picture. As for Reggie, thanks for asking about him. I'm going to post a picture of his latest escapade in MPBM. Glad to see so much feedback here! Just wanted to mention that there is a book called “Silly Tilly” from Two Lions Publishing (which is Amazon) from 2012. Also, maybe look up “Guji Guji” by Chih-Yuan Chen; it's similar in subject and maybe the jacket copy could help with the pitch.